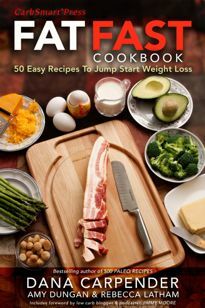 Dana Carpender is the Author and Editor of 50 Fat Fast Recipes. This makes two Fat-Fast “feedings” – warm the second one up in the microwave. Or, if you prefer, add one serving to a steak or chop for a family member who is not Fat-Fasting. Up to you. This is a free Fat Fast Recipe From FatFastRecipes.com. A nice demonstration of the fact that very low carb and low calorie vegetables with a fatty topping make great Fat Fast dishes. You might as well make a whole pound, and feed the rest to the family. 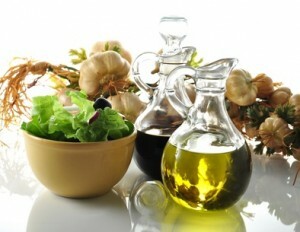 This is a free Fat Fast Recipe From FatFastRecipes.com. Sometimes you just want a big, crisp salad during your low carb fat fast. If you are concerned about your fiber intake during a fat fast, this recipe could help. Feel free to use another variety of lettuce, or even a combination. This is a free Fat Fast Recipe From FatFastRecipes.com. Guess what? This favorite breakfast fits into your Fat Fast, and will keep you full for hours. This is a free Fat Fast Recipe From FatFastRecipes.com. This is a great side dish in general; the family will love it. It just happens to fit fat fast percentages, so long as you stick to a small portion, and melt a teaspoon of butter over your serving. This is a free Fat Fast Recipe From FatFastRecipes.com.